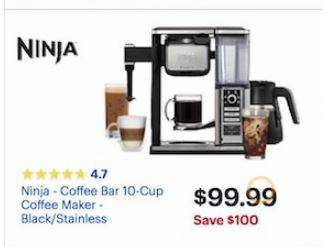 Find deals on Ninja Blenders and the Coffee Bar for Black Friday 2019 here at Funtober. 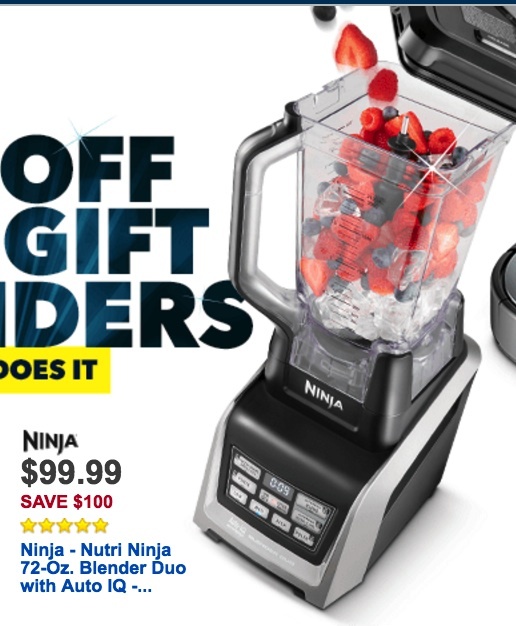 We’ll compile ads from six top retailers offering discounts on the Ninja Foodi, Ninja Pro Blender, the Mega Kitchen System, the Coffee Bar, and the single-serve line of products from Ninja from Thanksgiving Day to Cyber Monday 2019. 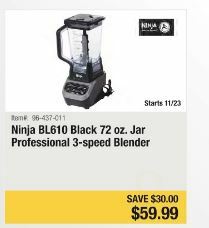 We will be adding more Black Friday and Cyber Monday deals as we find them so that you can get a great price on a Ninja Blender or Coffee Bar this Thanksgiving. 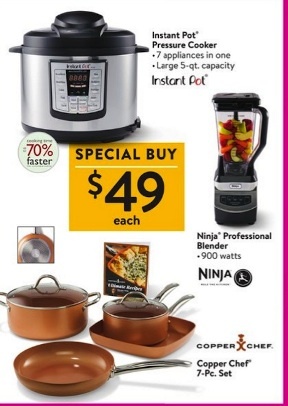 Whether you are adding to your kitchen or you are buying one as a gift, you aren’t likely to see better prices than these for the rest of the year! 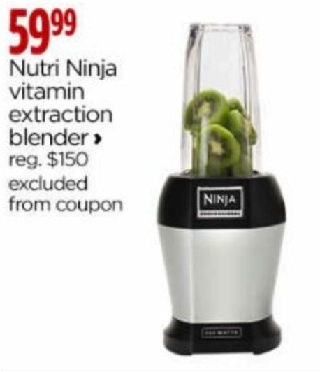 Click Here to Save 54% on Nutri Ninja Blender on Amazon for CYBER MONDAY. Combine the crispy deliciousness of fried foods made healthy in an air fryer, with the quick cooking magic of a pressure cooker, and you get the Ninja Foodi, the Pressure Cooker that Crisps™! The pressure seals the juices in and cooks your food quickly, while the crisper lid (hinged but not removable) uses superheated air to add a delicious crisp to foods like roast chicken. There is also a display window at the top, so you can see what’s going on with your food while it’s cooking! With the crisper lid closed, you can air fry, bake, roast and broil your veggies, proteins and grains all in one pot. With the crisper lid open and the pressure lid installed, you can pressure cook, steam, slow cook, or sear/saute your favorite foods! Don’t take up valuable counter space with two gadgets when you can get one item that does the work of two! It was released in September 2018. Click Here to check the latest Amazon deals. 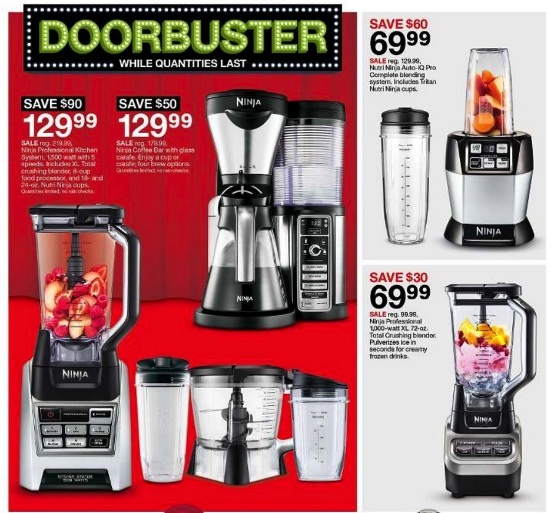 America’s top retailer posts deals on Kitchen items throughout the month. Because they are constantly changing what is on sale, we can’t possibly keep up with them here. 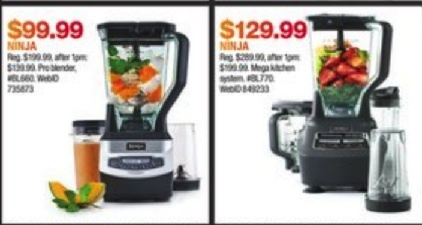 We urge you to check on the current price on the Ninja Blenders at Amazon before buying through another store. 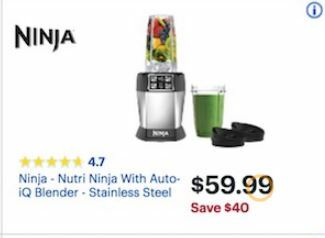 Amazon sells the Professional Blender, the Auto-IQ Blender and the Mega Kitchen System with Blender, Processor and Nutri Ninja Cups, among other options. They will have four products on sale at competitive prices PLUS they are also offering $15-30 in Kohl’s cash to be used on subsequent shopping trips. 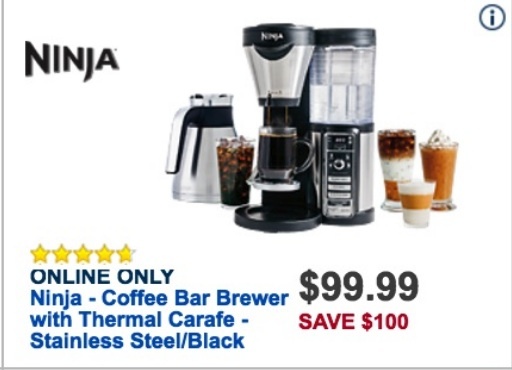 The single serve coffee bar and the single-serve blender system will both be priced at $69.99 (regularly $129.99 each), the Ninja Coffee Bar will be $99.99 (savings of $100 off the regular price), and the Mega Kitchen System is $129.99. With an extra $15-30 in Kohl’s cash for later, this is a great price. 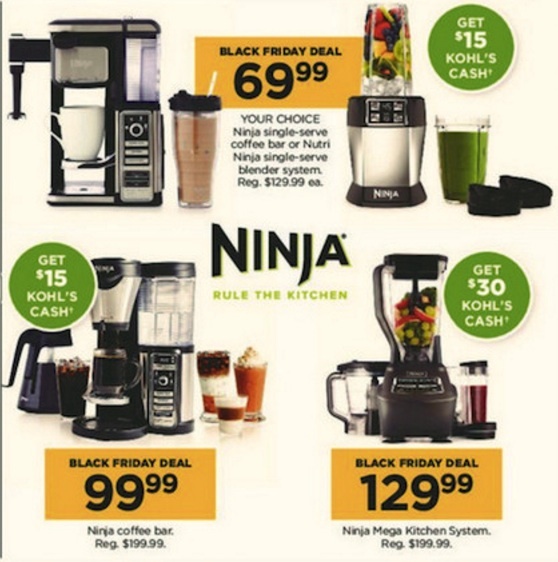 Find the Kohl’s deals here. 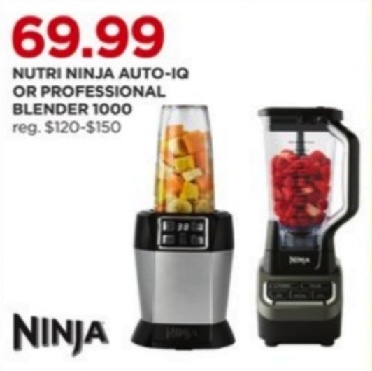 They are offering the Nutri Ninja Blender Duo with Auto IQ for $99.99 (savings of $100 off the regular price). 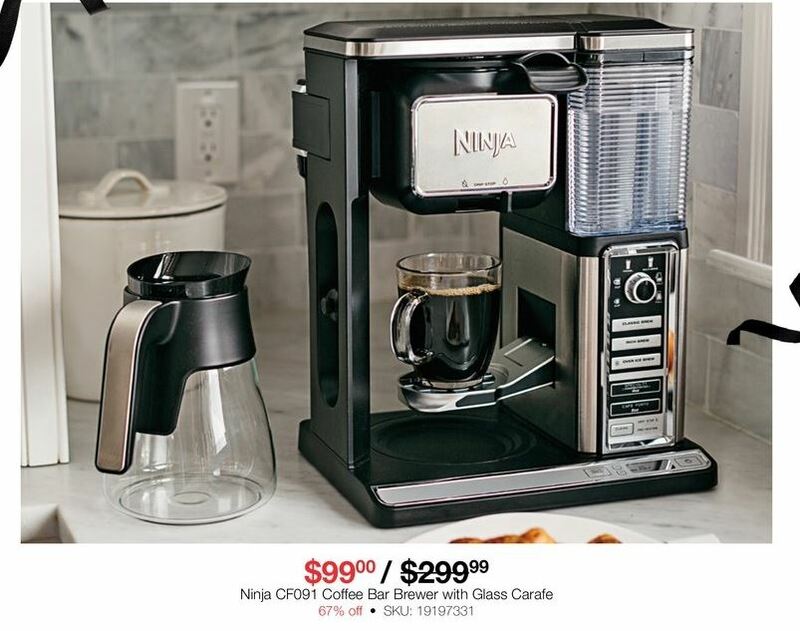 They are also offering the coffee bar brewer with thermal carafe for $99.99 (see the above deal from Kohl’s for additional savings off this price through $15 back in Kohl’s cash!). 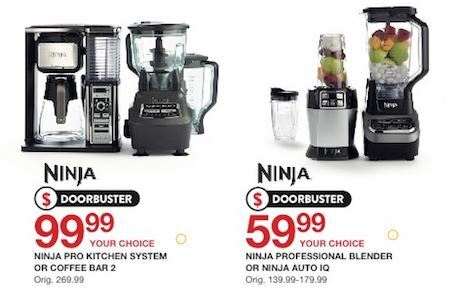 They are offering two Ninja products as doorbusters. 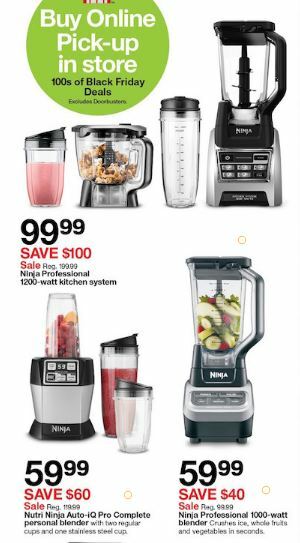 The Mega Kitchen system is going to be $129.99 (before 1 PM) and the Pro blender is going to be $99.99 (before 1 PM). 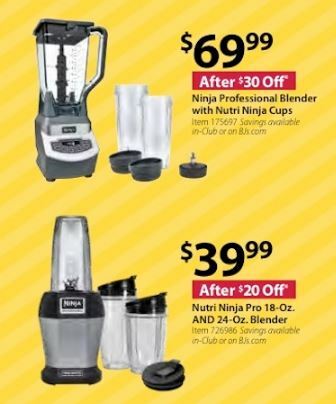 These aren’t the best prices out there, but if you don’t have time to make it to any of the other doorbusters, they are still a decent deal. Find the Macy’s deals here. 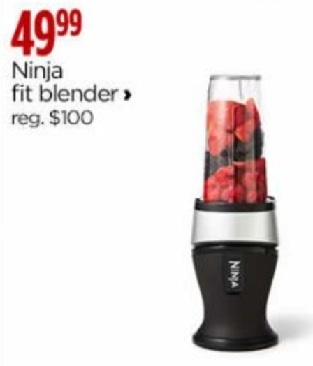 It looks like Target is basically putting the whole Ninja line on sale. 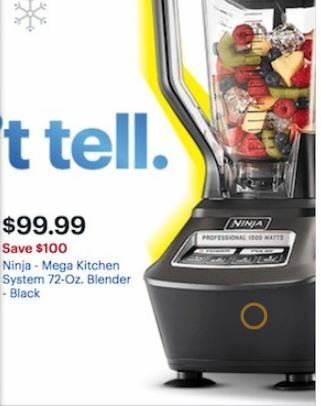 The Pro Blender will be $69.99 ($30 off), the Nutri Ninja Auto-IQ Pro will be $69.99 ($60 off), the Ninja Professional Kitchen System will be $129.99 ($90 off) and the Ninja Coffee Bar will be $129.99 ($50 off). 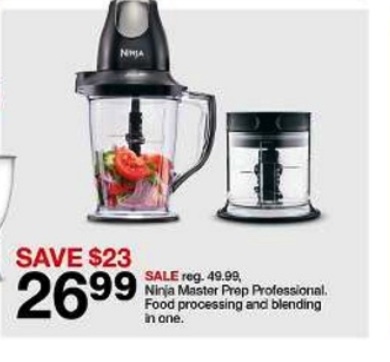 They are offering the Ninja Professional Blender as a Special Buy for just $49. This is the lowest price that we have seen it offered at so far for Black Friday 2017. 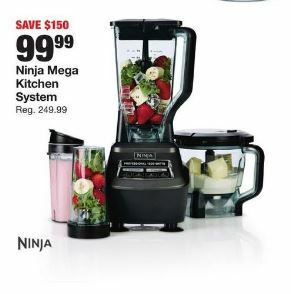 They will have a doorbuster sale on the Mega Ninja kitchen system, which includes the blender, processor and cups, for $129.97. 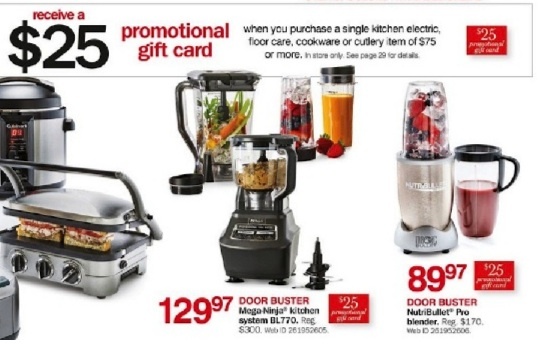 They are also throwing in a $25 promotional gift card when you buy a kitchen electric item of $75 or more, so your “real cost” is just over $104 if you are going to buy other items later at this store.